Tom Lüthi (Dynavolt Intact GP) leads the way after the opening two Free Practice sessions at the Gran Premio Motul de la República Argentina, setting a 1:43.353 in FP2 to lead Sam Lowes (Federal Oil Gresini Moto2) by just 0.092 – and the tight timesheets didn’t end there. The two veterans had some close company in the form of Remy Gardner (ONEXOX TKKR SAG Team) in third, the Australian 0.124 off the top and proving the star of the show in FP2 after a spectacular save, with Augusto Fernandez (FlexBox HP 40) taking P4 and still within two tenths. The top five was completed by an impressive performance from rookie Nicolo Bulega (Sky Racing Team VR46) as he managed to mix it with the veterans and end Friday just 0.252 off the top, and he was even just ahead of his teammate Luca Marini – but only just. 0.008 split the two Italians, with compatriot Lorenzo Baldassarri (FlexBox HP 40) only another 0.010 off in seventh. Jorge Navarro (Beta Tools Speed Up) was P8 and the first non Kalex, although reigning Moto3™ World Champion Jorge Martin (Red Bull KTM Ajo) was hot on his heels in ninth for KTM despite recent surgery. Qatar GP pole man Marcel Schrötter (Dynavolt Intact GP) closes out the top ten on Friday as just 0.357 covers the ten fastest riders. Iker Lecuona (American Racing KTM), Bo Bendsneyder (NTS RW Racing GP), Brad Binder (Red Bull KTM Ajo) and Simone Corsi (Tasca Racing Scuderia Moto2) are the next four men on the timesheets and it’s the top 14 after FP3 who go straight through to Q2. So will FP3 shake it up again on Saturday? With just over a second covering the top 22, it’s going to get tight in the fight to move through. Tune in for FP3 at 09:55 local time (GMT-3) before qualifying gets underway at 13:30. Day 1 at the Gran Premio Motul de la Republica Argentina was a battle of two former pole position men at Termas de Rio Hondo as John McPhee (Petronas Sprinta Racing) – on pole in 2017 – beat Tony Arbolino (VNE Snipers) – the 2018 polesitter – to the top by just 0.079 after the Scot ended the day an impressive two seconds quicker than his lap from FP1; conditions ever improving. Just behind Arbolino, compatriot Niccolo Antonelli (SIC58 Squadra Corse) rounded out the top three and was just a further tenth in arrears on Friday. Crowd favourite Gabriel Rodrigo (Kömmerling Gresini Moto3), racing at home this weekend, shone in the afetrnoon despite his continuing recovery from a collarbone broken at the Qatar Test. He ends the day in fourth overall, ahead of another man to have leapt up the timesheets in FP2: Tatsuki Suzuki. The SIC58 Squadra Corse rider rounds out the top five on Day 1. It tightened up in sixth as Sterilgarda Max Racing Team’s Aron Canet was just half a tenth ahead of Sky Racing Team VR46’s Dennis Foggia, who had to settle for seventh, and those top seven were all able to improve their laptimes by at least a second and a half in FP2. That leaves FP1’s quickest man Jaume Masia (Bester Capital Dubai) in P8 after the Spaniard could only improve by 0.6 seconds – just a little bigger than margin by which he dominated the first session of the day. Rounding out the top ten were Vicente Perez (Reale Avintia Arizona 77) and rookie Raul Fernandez (Sama Qatar Angel Nieto Team), meaning it’s an even split of Honda and KTM in the top ten – but in favour of the Japanese factory as they locked out the top five. Leopard Racing’s Lorenzo Dalla Porta recovered from an early crash at Turn 7 to finish the session 11th quickest, marginally ahead of his teammate Marcos Ramirez, with Championship leader Kaito Toba (Honda Team Asia) able to hold on to P13 despite a crash. 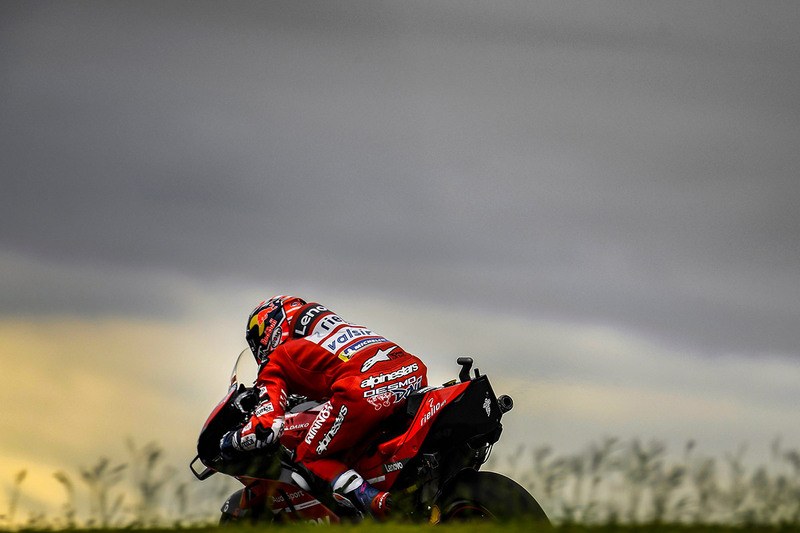 VNE Snipers rider Romano Fenati – the only man in the field to have previously won at the track – is the last of the riders provisionally going straight to Q2 as he ends Friday in fourteenth place. The Moto3™ riders’ last chance to secure a spot in Q2 comes on Saturday morning at 13:00 local time (GMT-3) as they fire up for FP3. Qualifying begins at 12:35.